“Is it beneficial to take Aspirin every day?” – that question is very familiar to all of us and you can often see it in the frequently asked question page on any medical site you visit (not only this one, I really saw it at least one more time ;)). We should be aware that taking drugs without a genuine reason can cause more harm than good to our body. Aspirin is not an exemption and it has its side effects as well. However, Aspirin has also some interesting properties, which can save our life at emergencies. Yes, it is a life saving drug if we use it in a wise way. This article highlights the history, drawbacks and the important applications of Aspirin. In the history of medications, there are not many drugs like Aspirin, which started in the world as an analgesic (painkiller) and later became doctors’ favorite prescription for controlling cardiovascular diseases. Even before centuries, our ancestors used a basic form of this drug. They derived it from the bark of willow trees. Hundred years ago, Dr.Felix Hoffman and his team succeeded in synthesizing this miracle drug from its basic form. They had carried out the research program under Bayer, a well-known pharmaceutical company. Aspirin is the brand name of Bayer and its biologically active substance is acetylsalicylic acid. 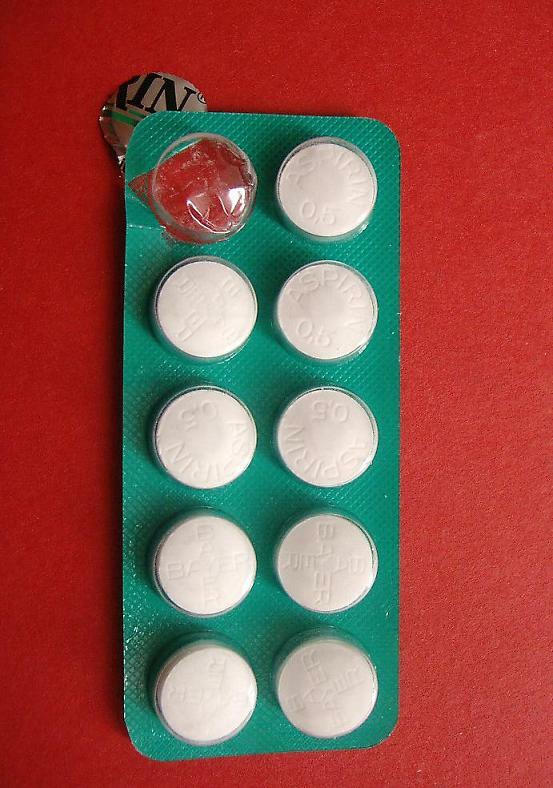 Aspirin became popular in the 20th century as an analgesic and antipyretic (fever reducer). After the invention of Paracetamol, which is comparatively safer than Aspirin, the popularity of Aspirin diminished as an analgesic and antipyretic drug. Clinical trials of Aspirin proved that it has a blood-thinning property. These studies gave Aspirin a rebirth in the form of anticoagulant (reduce clotting) which can do miracles in emergencies like stroke or heart attack. Aspirin gradually regained its popularity and topped in the table of emergency and life saving medicines. In most countries Aspirin is not prescribed as a drug to reduce pain or anti-inflammatory reactions. If you are considering taking Aspirin, consult it with your doctor and take it as per his order. Self-treatment can cause serious and undesirable reactions. ← Drug abuse in pregnant women – why is it dangerous?